The Ultra-Trail World Tour is going big in April! 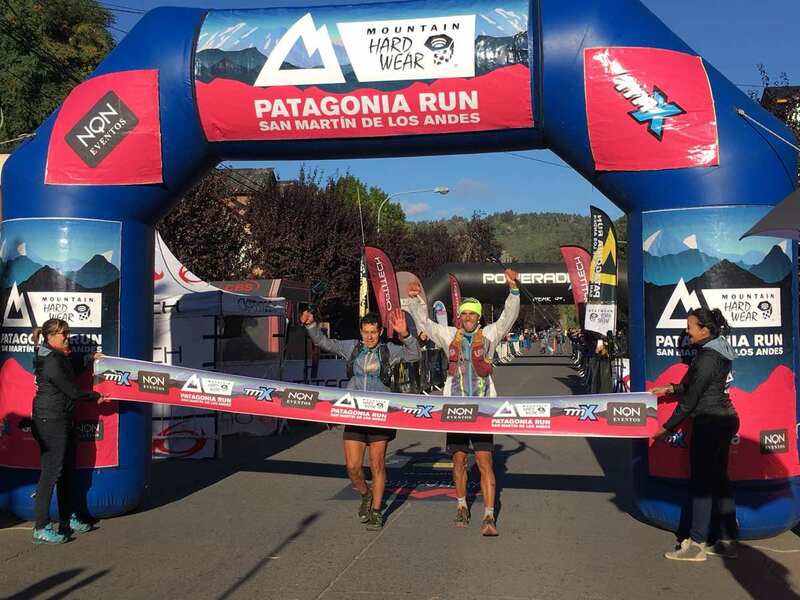 Two UTWT events, the Patagonia Run in Argentina and the 100 Miles of Istria race in Croatia, happened this weekend, and a third, the Marathon des Sables stage race is in progress, too. We also report on the Mad City 100k and the American River 50 Mile, among other global highlights. The Mad City 100k is the USATF 100k Road National Championships and though it afforded its winners a spot on the U.S. team for the IAU 100k World Championships, and of course a national championship, just 25 runners lined up to compete. Mad City’s built-for-speed course ‘ran’ this year at 20 x five-kilometer loops. Temperatures were just 16 degrees Fahrenheit at the race start. Anthony Kunkel is always a bit of a wildcard, and not just because he races in Colorado-branded underwear. At 26 years old, he either hits it out of the park, or finishes surprisingly off the lead pace or not at all. This race was entirely the former and Kunkel now has a chance to race at the 100k world champs on September 8 in Croatia. Kunkel split 3:16 for 50k, but it wasn’t until 65k into the race that he gained his ultimate lead, moving past Caumsett 50k winner Eric LiPuma and road-ultra specialist Geoff Burns. From there, it was all Kunkel and he finished, on his birthday no less, in 6:52. For perspective, Jesse Davis won last year’s race in 7:06, and Burns won in 2016 in 6:30. LiPuma abandoned the race at 60k and Burns at 70k. Jadd Martinez was second in 7:34, and Thomas Reiss was third in 7:58. Liza Howard passed Denise Bourassa somewhere near the marathon mark and, not unlike men’s winner Kunkel, Howard opened a big lead in the race’s second half, too. She won the women’s race in 8:07, and actually beat all but three men’s runners. Howard earns a spot on the U.S. team for the world championships, as well. Bourassa ran into trouble and 75k into the race, and Jackie Dubnica moved up into second. The two finished on the podium–Dubnica ahead of Bourassa–in 8:37 and 9:02, respectively. Traci Falbo was among the drops, exiting the race at the 40k mark. The next USATF mountain, ultra, trail championship is the July 21 USATF 50-Mile Trail National Championships, to be held at New York’s Cayuga Trails 50 Mile. The Patagonia Run is the Ultra-Trail World Tour’s lone stop in South America. The race held both 100k and 100-mile races, though only the 100-mile race was included in the UTWT. It was the inaugural year for the 100-mile race and Maxi Lopez and Gustavo Reyes (both of Argentina) finished together in a hand-holding tie at 21:45. Sergio Trecaman (Argentina) was third in 22:04. 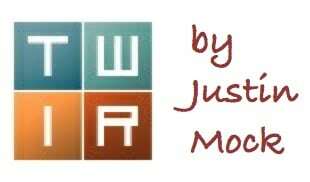 Despite the UTWT inclusion, this one remained largely domestic. Alejandro Garcia (Argentina) topped everyone in the 100k and won in 13:33. Verónica Ramirez won the women’s 100-mile race in 24:21, finishing hours ahead of all others. Second- and third-place Mariel Marinero (Argentina) and Rosalia de Guarischi (Brazil) ran 26:41 and 27:09, respectively. 100k winner Silvina Perez (Argentina) finished in 15:50. The 100 Miles of Istria also was an Ultra-Trail World Tour event. Third a year ago, Paul Giblin (U.K.) returned to Istria, a peninsula in northwest Croatia, and won this year’s race in 21:06. For perspective, Giblin ran 19:21 in 2017 and race winner Dylan Bowman finished in 17:51 last year. Luca Moro (Italy) and Péter Gyurkó (Hungary) were second and third in 21:36 and 21:50. The third-, fourth-, and fifth-place runners were all separated by less than five minutes. It was two in a row for Francesca Canepa (Italy). She repeated as women’s champ by running 22:49, almost an hour better than a year ago. Katja Kegl Vencelj (Slovenia) was a competitive second in 23:25, and Klara Bajec (Slovenia) was third in 27:20. They’re crazy about trail running in the Canary Islands. The Reventón Trail Marathon was the Spanish selection race for the IAU Trail World Championships. Aritz Egea (Spain) led in 3:41, almost two minutes better than second-place Thibaut Baronian (France). Pablo Villalobos (Spain) was third in 3:45. A name we don’t know on the Spanish trail scene, Villalobos appears to be a road-running crossover with 1:03 and 2:12 half-marathon and marathon PRs. From there, it was particularly tight with the next four runners separated by less than two minutes. Dani García (Spain) and Jessed Hernandez (Spain) were fourth and fifth in this group, both at 3:49 and 28 seconds apart. Spanish runners took 47 of the first 49 finish positions with only Baronian and eighth-place Michel Lanne (France) breaking up the consistency. Laia Cañes (Spain) broke free late in the race to win comfortably in 4:35. Azara García (Spain) and Gemma Arenas (Spain) were second and third in 4:43 and 4:52, respectively. Arenas won a sprint finish over fourth-place Nuria Domínguez (Spain) by seven seconds. Aroa Sio (Spain) was fifth in 5:07. After 100 miles, less than three minutes separated Olivier Leblond and Jim Sweeney. Leblond led by 33 minutes at mile 50, but Sweeney closed that to just a 14-minute gap at mile 75. He couldn’t get all the way back though and the two finished in 14:04 and 14:07, respectively. Those fast times came despite, or perhaps because of, persistent rain. Notably, Leblond finished within a minute of his time last year. Matt Urbanski was third in 15:26. Rhea Loney won the women’s race in 19:11 and she was followed by Sunshine Padilla in 21:02. Jessica Anderson was third in 22:17. Zach Ornelas sped past Coree Woltering to win the American River 50 Mile. Woltering held a two-minute lead as late as mile 41, but the race climbs significantly in the last three miles and Ornelas, a former U.S. Mountain Running Team member, rolled to a convincing win. Ornelas finished in 6:22 to Woltering’s 6:39. Rob Bien was third in 7:02. Three names entirely new to this column filled the women’s podium. Emily Hawgood was the race winner in 7:44, and Katie Krehlik and Lisa Daane were second and third in 8:18 and 8:51, respectively. 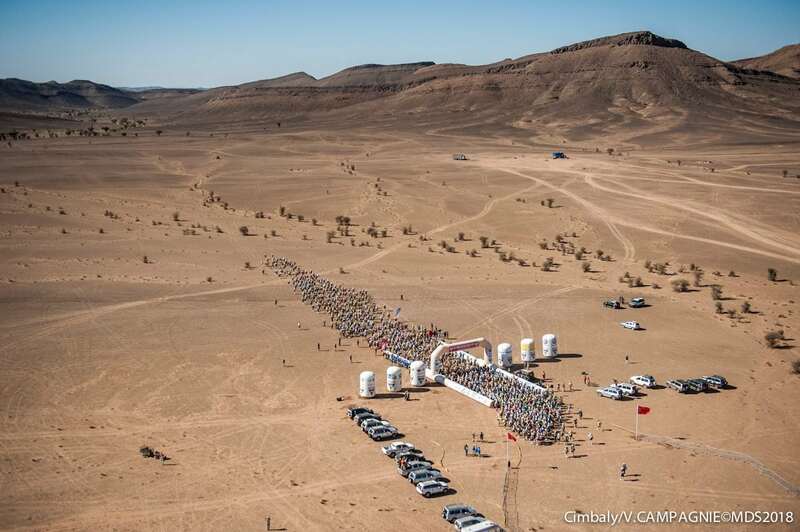 We’ll report on it in full next week, but the 33rd Marathon des Sables stage race is happening now in Morocco with two stages complete at the time of this publishing. The race ‘runs’ with about 250 kilometers divided over five competitive stages. Mohamed El Morabity (Morocco), younger brother to five-time champion Rachid El Morabity, (Morocco), won the first stage by about a dozen seconds. However, older brother, Rachid, seemed to get down to real racing business for Stage 2 by taking the Stage 2 win with a 10-minute margin and assuming the men’s race lead. Younger brother Mohamed is in second place overall after two stages raced. It’s an all-Moroccan podium so far with Abdelkader El Mouaziz in third position overall. El Mouaziz is a three-time MdS finisher who’s twice taken second. [Update April 9, 4 p.m.: Rumors are now confirmed, the women’s race leader is Magda Boulet (USA). Natalia Sedykh (Russia) was given a one-hour penalty for a missing piece of gear at the mandatory-kit check (on-site reporting with details) following her win of Stage 1 on Sunday. While the time penalty was added to the online results sometime after Monday’s Stage 2, interim cumulative race results at the moment show her in fifth place. Natalia also won Stage 2 but retains a deficit from the lead due to her penalty. 2016 MdS champion and 2015 third-place finisher Natalia Sedykh (Russia) is back and has won the first two stages of this year’s race with large gaps over the rest of the women’s field. Magda Boulet (USA) is her closest challenger after two stages, at about 13 minutes off the cumulative lead. In third second in the cumulative women’s rankings after two stages is Denmark’s Bouchra Eriksen, who has a cumulative gap of about 15 minutes behind second-place leader Magda. Fabrice Hardel and Carolina Aguero won southern California’s Oriflamme 50k with 4:14 and 5:33 finish times. Full results. 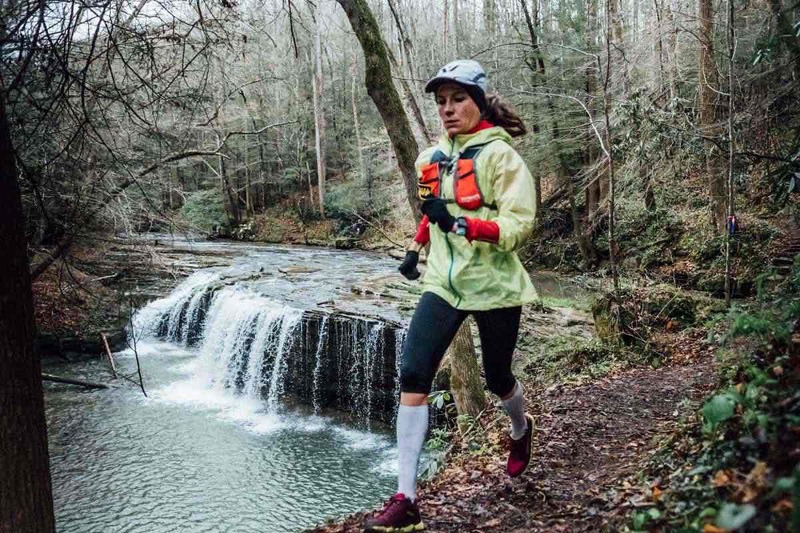 In New York, Laura Kline was the women’s and overall winner at the first-year English’s Ridge Rumble 50k. Running 4:32, she beat out men’s victor Christopher Compson by two minutes. Full results. Thomas Morgan and Justyna Mudy-Mader won a muddy Yamacraw 50k in Kentucky in 4:21 and 4:55. The race takes place in the Daniel Boone National Forest, just across from Tennessee. Both set new course records, Morgan by almost 20 minutes and Mudy-Mader by 44 minutes. Full results. There are about 250 alligators in Texas’s Brazos Bend State Park. Hopefully none of the participants in Trail Racing Over Texas’s six-race Brazos Bend series had much more than a brief glimpse of those lake overlords. 100k winners were Francisco Garza and Christina Pierce in 8:51 and 10:53, and Jeff Ball and Jennifer Ashmore won the 50-mile race in 6:09 and 7:46. Full results. Two hours away from Brazos Bend, Tejas Trails’s Hell’s Hills event crowned Chad Lasater and Dena Carr as 50-mile champs in 8:09 and 11:32. 50k victors Wade Barrett and Anna Hailey ran 4:38 and 5:06. Full results. The Bull Run Run race is 50 miles long and held on former Civil War battleground land in Virginia. They’ve been doing it here for 26 years. There are no winners in war, but there are in ultrarunning. Paul Jacobs and Anna Piskorska triumphed in 7:05 and 8:47. Full results. Qualifying for the U.S. Olympic Trials Marathon is a big deal. 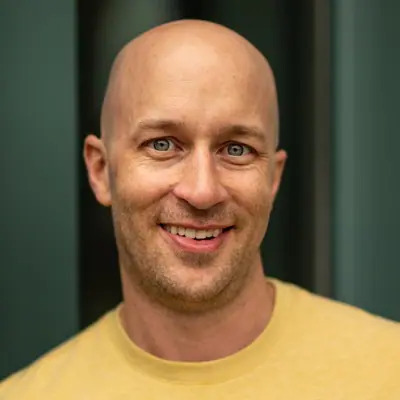 Andy Wacker will be there in 2020 thanks to a 2:17 finish at the Rotterdam Marathon in the Netherlands. He finished 13th overall. Also in the field, ultrarunner Fritjof Fagerlund (Finland) ran 2:33. Full results. What else caught your eye this weekend? Let’s hear about it in the comments field. For the record, this year it was twenty 5k loops at Mad City. Ten 10k loops seems somehow less crazy. Thanks for letting us know and we’ve updated the post. Congrats to you, Liza! Tom Evans continued his fine run of form lowering the Men’s CR to 5:44:22 at the Centurion South Downs Way 50 (UK) – managed to stay with him for all of 5 seconds off the start line! Check out Villalobos’ Strava! He means business! You’ll need to interview him soon! On Saturday, April 7……the Torreya “Draggin’ Tail” 25k/50k took place during a rainstorm in Florida. Many would argue this event is probably the best trail race in Florida. The “Hungry Mother” 50 & 25K was run in Marion, Virginia on April 7th. A great small-town trail race with ~7,000 feet of elevation gain in the 50K. Kit Linton won for the men at 4:59, and Lindsay Skinner was the top female finisher at 6:15. American River 50 times should be noted heavy rains leading up to and the start of the race…made for an extremely wet, slick and muddy course. You’re missing Diez Vista 50k/100k on April 14. I should add as an upcoming race! Meghan, Thank you for being so helpful getting Magda set to go for MDS. I am sure she is grateful for all of your advice and thinking of you out in the desert! I know it is a special event to you! Its looking good for Magda and cant wait to hear the sandy stories! Epic race with brutal conditions and a very low finish rate.